Soil is a living, dynamic system. It functions best when the physical and biological components are in a state of balance. Welcome to the world of zone tillage — where high performance crop production and soil health coexist to benefit your farm, your environment and your bottom line. ETS Zone Tillage™ seeks to increase agriculture production and sustain the environment for future generations. It is a management strategy that incorporates soil health management and higher levels of productivity on every acre. Zone tillage honors the philosophy of conventional tillage with primary tillage in the fall and shallow soil conditioning in the spring, yet provides the additional benefits of residue incorporation, increasing soil organic matter and integrated fertilizer application. With ETS Zone Tillage,™ only a third of the row width is disturbed in soil management. And with a fall and/or spring pass that incorporates fertilizer, an elevated berm is formed that creates a warmer and moisture-correct seedbed in the spring. The surrounding residue and root systems also help make moisture more available during the growing season. Bottom line: Your soil health is improved as the physical and biological advantages of Zone Tillage assure every seed is given every opportunity to reach its full genetic potential. Promising more robust yields, year after year…and for generations to come. 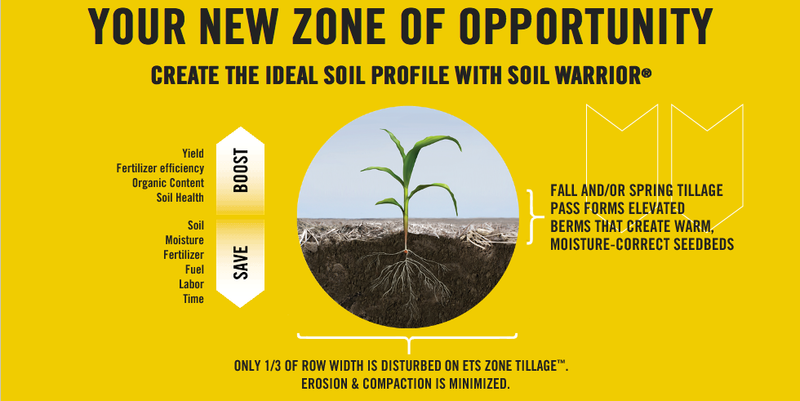 Learn more about ETS Zone Tillage™. 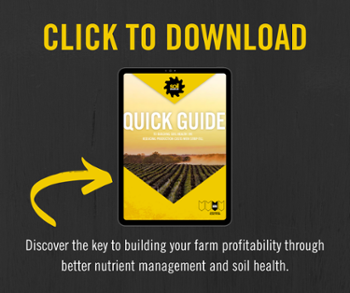 Download our free eBook! To provide progressive farmers with an innovative production system that profitably rebuilds and revitalizes the land.